A healthy, balanced fitness routine should include a combination of both cardiovascular exercise, which works your major muscle groups and raises your heart and breathing rate, and strength training. The Centers for Disease Control and Prevention recommends that all adults aim for at least thirty minutes of brisk cardio most days of the week, plus strength training exercises on two to three days each week . Strength training is especially important as you age, because muscle mass naturally starts to diminish by middle age. Strength training can be done with free weights, weight machines, resistance bands, or just your own body weight, and the benefits are wide-reaching. While it won’t burn as many calories as a cardio workout, it does increase your lean body mass (also known as muscles), which will in turn boost your metabolism, so you’ll burn more calories, even at rest. That makes it easier to lose weight if that’s a goal. Having more muscle on your body also helps your insulin work better, which means your blood sugar is better controlled after eating. That reduces the risk of diabetes and heart disease. 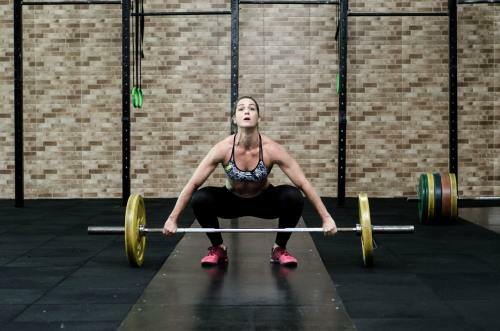 The exercises which build muscle also help to strengthen your bones and improve your strength and balance, so strength training is recommended for women especially, to reduce the risk of osteoporosis later in life. If you’re new to strength training, it’s worth it to work with a coach or trainer at least a few times to learn the correct techniques and make sure you’re using the appropriate type and amount of weights. Strength training is most effective if you have a rest day in between working each muscle group. Most people will notice positive changes in their muscle tone after just a few weeks, and you may find, even if you haven’t lost weight, your clothes will fit better and you’ll feel more trim just from the muscle you’ve gained.